Where your designs take form! Construction time for a custom home is typically 5 to 12 months depending upon the complexity of the home. Construction Inspections - With a complete set of plans detailing the home as agreed and complete specifications detailing what is in the home and what is not in the home the construction of your home will be inspected by the private certifier or engineer at the following times, prior to the next stage being started. Setout, footings and slab prior to pouring concrete. All framing of roof, walls and plumbing and before internal lining and external cladding is started. The final inspection is made when the home is complete. You will also inspect the home at this point and will have the opportunity to point out any areas that need to be corrected. 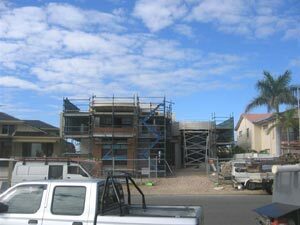 Cost - The typical builder works on a margin of 20% of the cost price of the home. This margin represents the gross profit remaining after all direct construction costs are paid. The Builder must pay all overhead expense, all current and future warranty cost, all supervision cost, and much more out of this amount. Furthermore, there are normally numerous unforeseen cost items plus increased costs due to inflation during the building process that the builder must absorb. This also comes out of the gross profit. There are a limited number of suppliers and labour providers for luxury residential construction. We have one of the best track records in Brisbane as well as a sterling credit rating. I would love to tell you that our purchasing power allows us to purchase items at a much lower price than others. However, in reality it is a very competitive industry and most credit worthy builders pay about the same price for the goods and services that they purchase. Therefore, it is hard to understand why one builder could offer any special cost advantage over another. If there is a cost advantage it is typically because one builder is purchasing and providing a lower quality service or product than another. If three different builders were to prepare a bid on the same home with the exact same finishes and level of quality I would be shocked if there was more than a 1% variance in price between those builders. The problem is that this never happens. Each builder will include different items in the home as standard and their trades will have different quality levels than the other builder, which make a very real difference in the price. This makes comparing builders prices almost impossible. The important point is to find a builder that you trust. Everyone should agree exactly what will be included in the home as well as the quality level that can be expected. The end cost of the home will be a function of the home to which you have agreed. "Many builders offer a low price per square meter with minimal specifications for the home assuming that the Buyer's will upgrade to their expected quality level once the home has been started." 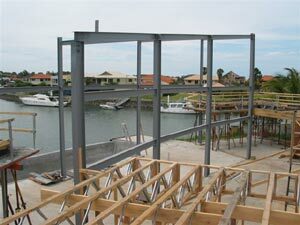 Cost per square meter is a commonly asked question of builders. It is impossible to give an accurate answer to this question until the plan is chosen, finishes are agreed to, and the homesite has been evaluated. Each home is quite different and the items included or not included make a major difference in the cost per square meter. There are probably 10,000 variables that can impact square meterage cost due to home design, specifications, site conditions, and much more. Typically, as the square meterage rises, the cost per square meter will decrease. This is because the same home, regardless if it is 300 or 600 SQM or whatever size, built on the same lot with the same quality will have the same amount spent for landscaping, utility impact and tap fees, driveway, mailbox, appliances, pool, garage, and many more major items. As the square meterage increases those common costs are spread over more square meterage, which reduces the actual cost per square meter. There are many areas in a home where meterage can be added quite inexpensively. If the budget allows, this should be done since there will be a major spread between the cost of the meterage and the appraised value of the meterage. Your builder will be happy to point those areas out to you. Our preferred manner of operation is to assume that all of our customers are expecting an executive style home with executive finishes included as standard. If we offer a cost per square meter it is to build that type of home. Many builders offer a low price per square meter with minimal specifications for the home assuming that the Buyer's will upgrade to their expected quality level once the home has been started. Personally, I do not like to be on either side of this type of surprise and I doubt that you would either. If there is a major difference in another builder's cost per square meter for the same home you can be sure that there is a difference in the quality, features and finishes included, or some other tangible item.